Lawrence W. Iacono, 82, of Warwick, passed away Saturday, January 19, 2019. Born in Providence, he was the son of the late Louis A. Iacono, Sr. and Veroncia (Montecalvo) Iacono. Mr. Iacono worked as a professional plasterer for many years before retiring. 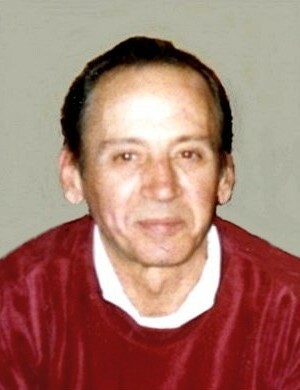 He is survived by his three daughters, Gina Iacono, Janice Strain and her husband Daniel and Julie Cabana and her husband Donald; three sisters, Mary Ann Brady and her husband Bill, Angela DiManni and her husband Louis and Margaret DeFusco and her husband John; and 6 grandchildren, Ryan, Tyler and Colin Strain and Matthew, Andrew and Laura Cabana. He was the brother of the late Louis A. Iacono, Jr.
Visitation will be held Thursday morning, January 24, 2019 from 9 - 10 a.m. in the MACERONI FUNERAL HOME, 1381 Smith St., North Providence, followed by a Mass of Christian Burial at 11 a.m. in St. Rose & Clement Church, 111 Long St., Warwick. Burial will be in St. Ann Cemetery, Cranston. Please omit flowers.